When a business in nj wants to process credit and debit cards, it must establish a merchant account. These bank accounts are created between a merchant or an NJ business and a bank or payment processing company to handle these transactions. These accounts allow the new jersey business to exchange the payment from its customer's card transactions to money in its checking account. 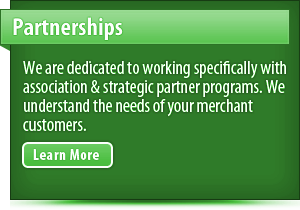 Merchant accounts do not need to be a separate account. Sole ownership and partnership nj businesses can use personal checking accounts, though corporations or LLCs need a nj business checking account. 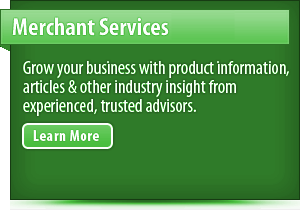 Merchant accounts typically involve discount rate and transaction fees. Discount rates are percentages that are taken from each transaction. Because the percentage is based upon the amount sold, the exact amount that could be taken out of the company's merchant account can vary. The transaction fee, however, is a fixed amount. For example, a purchase of $100 with an account has a transaction fee of $0.25 and a discount rate of 1.69%, $1.69 will be taken for the discount rate. With the additional $0.25 for the transaction fee, a total of $1.94 would be deducted from the sale and $98.06 would be deposited into the merchant account. If the sale is for $1,000, the transaction fee stays the same, but the discount rate would be $16.90 instead. By adding to the transaction fee, the total deducted would be $17.15, leaving $982.85. When a card is swiped, the transaction is considered "card present." This means that both the customer and the card itself are present at the place and time of sale. These transactions are considered less risky because they have a lower chance of fraud and have fewer fees. "Card not present" transactions are the type where the card information is put into the card processing system. This usually happens without the customer or card present and can increase the level of risk associated with a transaction. Businesses should be aware of the fees already mentioned, as well as setup fees, application fees, cancellation fees, etc. that could be added to any merchant account as they shop around for the right one. To learn more about establishing an account, call a sales representative at 866-214-6481. The customer at a merchant or point of sale swipes their credit card through the machine to compete. A transaction is complete when the customer signs the credit card receipt or taps an option on a the credit card terminal. 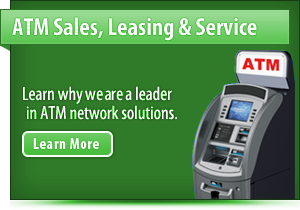 Data for each transaction is sent all at once over the internet to the credit card processor. This is usually done at the end of the business day in a single batch of data. Once the data is received by the credit card processor it is submitted to CCI or Credit Card Interchange network. CCI is a connected network of entities that communicate with each other to manage the flow of credit card transactions. This includes processing, clearing and settlement of each transaction. Data for each credit card transaction is then sent to the issuing bank for the customer's credit card. This is to see if the funds necessary to complete the transaction are available. If the funds are available in the customer's account the issuing back will approve the transaction. If the funds are not available the transaction will be declined. This information is then sent back to the Credit Card Interchange network. A confirming approval number will then be sent back by the credit card processor to the equipment that is used by the nj merchant. When funds are available in a customer's account a transaction is approved. 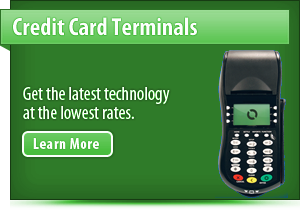 If funds are not available then a message declining the credit card is displayed on the terminal. This takes approximately 5 to 7 seconds to complete. Approval of a transaction will initiate a transfer of funds from the issuing bank for the credit card to the merchant's checking account, through the Federal Reserve System. This process is completed within 48 to 72 business hours.